Capital infusion refers to the process whereby funds are injected into startup companies or large companies by an investor with a financial interest in the company. Capital infusion also refers to the process of transferring money from a successful unit, division or subsidiary of a company to another unit that is not doing well with the aim of injecting new life into that unit. Adding capital to your business can perform a variety of useful functions. You can use an infusion of capital to complete your start-up process and get your small business started. Or, you may use an infusion of capital to expand your current business operation. Regardless of how you will use new money coming into your business, the difficulty can be seeing the other side of the coin. At the end of the day, people investing their money in your business will likely care very little about what you need to start, maintain or expand your business. Rather, their primary focus will more likely be on whether or not you have something that is in demand, and if they will get a good return on the money they invest in your business. If you can show potential investors the answer to both of those questions is “yes,” you will have no problem generating the capital you need to move forward with your business plan. A company may raise funds for different purposes depending on the time periods ranging from very short to fairly long duration. The total amount of financial needs of a company depends on the nature and size of the business. 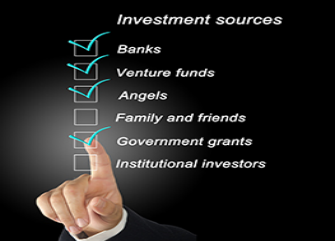 The scope of raising funds depends on the sources from which funds may be available. Equity shares:- The rate of dividend on these shares depends on the profits available and the discretion of directors. Hence, there is no fixed burden on the company. Each share carries one vote. Preference shares:- The dividend is payable on these shares at a fixed rate and is payable only if there are profits. Hence, there is no compulsory burden on the company’s finances. Such shares do not give voting rights. A foreign currency convertible bond (FCCB) is a type of corporate bond issued by an Indian listed company in an overseas market and hence, in a currency different from that of the issuer. The highlight of the FCCB, however, is the option of converting the bonds into equity at a price determined at the time the bond is issued. It also has the benefits of a debt instrument as it includes guaranteed return which are payable in foreign currency. FCCBs have a maturity period of about five years during which no call or put option can be exercised. They are generally viewed as a means of foreign investment into a company and have to comply with the limits imposed depending on the sector. FCEB is a foreign currency bond, issued by an Indian issuing company (IC) and subscribed to by a person who is a resident outside India. FCEBs are exchangeable into equity shares of an offered company (OC). Such bonds can be denominated in any freely convertible currency and both principal and interest at the stipulated coupon is payable in foreign currency. The IC must be an Indian company, which is part of the promoter group of OC; and must hold the offered shares in OC. It must be eligible to raise funds from the securities market. ♦ As per Rule 12 of Companies (Prospectus and Allotment of securities) Rules, 2014 read with section 39 share application money needs to be refund with 75 days along with interest rate of 15% per annumof the application money not being utilized for the allotment of shares. Application money to be refunded shall be credited only to that bank account from where the subscription amount is received. ♦ As per section 39 of the Companies act, 2013, the allotment of the shares needs to be made within a period thirty days from the date of Board meeting. In case if the shares are not allotted the company and every officer in default shall be liable to a penalty of one thousand rupees each day during which the default continues or one lakh rupees, whichever is less. ♦ Inward remittance through normal banking channels. ♦ Debit to NRE (Non-Resident External Account)/ FCNR (Foreign Currency Non Resident Account) account of a person concerned maintained with an AD Category I bank. ♦ Conversion of royalty / lump sum / technical know-how fee due for payment or conversion of ECB shall be treated as consideration for issue of shares. ♦ Conversion of import payables / pre incorporation expenses / share swap can be treated as consideration for issue of shares with the approval of FIPB. ♦ debit to non-interest bearing Escrow account in Indian Rupees in India which is opened with the approval from AD Category – I bank and is maintained with the AD Category I bank on behalf of residents and non-residents towards payment of share purchase consideration. Non-residents (including NRIs) are making investments in an Indian company in compliance with the provisions of the Companies Act by way of subscription to its Memorandum of Association, such investments may be made at face value subject to their eligibility to invest under the FDI scheme. The pricing of eligible securities to be issued or transferred to a foreign depository for the purpose of issuing depository receipts should not be at a price less than the price applicable to a corresponding mode of issue or transfer of such securities to domestic investors under the relevant regulations framed under FEMA, 1999. In the case of shares of a company not listed on a recognized stock exchange in India, at a price which is not less than the price at which the offer on right basis is made to resident shareholders. ♦ An Indian company receiving investment from outside India for issuing shares/convertible debentures/preference shares under the FDI Scheme, should report the details of the amount of consideration to the Regional Office concerned of the Reserve Bank not later than 30 days from the date of receipt in the Advance Reporting Form as in Section 1 of this Annexure. 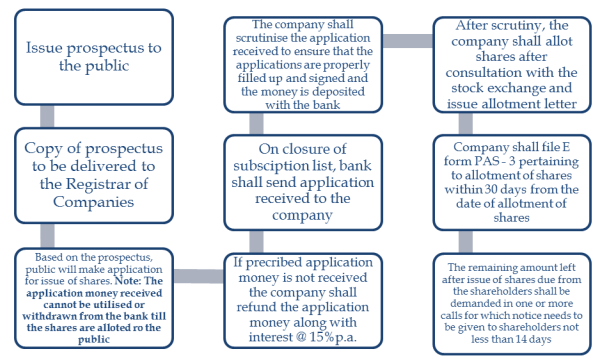 ♦ Indian companies are required to report the details of the receipt of the amount of consideration for issue of shares/convertible debentures, through an AD Category-I bank, along with the copies of the FIRC/s (Foreign Inward Remittance Certificate) evidencing the receipt of the remittance along with the KYC report on the non-resident investor from the overseas bank remitting the amount. The report would be acknowledged by the Regional Office concerned, which will allot a Unique Identification Number (UIN) for the amount reported. Explanation: An Indian company issuing partly paid equity shares, shall furnish a report not later than 30 days from the date of receipt of each call payment. ♦ After issue of shares (including bonus and shares issued on rights basis and shares issued under ESOP)/fully, mandatorily & compulsorily convertible debentures/fully, mandatorily & compulsorily convertible preference shares, the Indian company has to file Form FC-GPR, not later than 30 days from the date of issue of shares. the company has all original certificates issued by authorized dealers in India evidencing receipt of amount of consideration. Note: For companies with paid up capital with less than Rs. 5 crore, the above mentioned certificate can be given by a practicing company secretary. > A certificate from SEBI registered Merchant Banker or Chartered Accountant indicating the manner of arriving at the price of the shares in India to the person resident outside India. > The report of receipt of consideration as well as Form FC-GPR have to be submitted by the AD Category-I bank to the Regional Office of the Reserve Bank under whose jurisdiction the registered office of the company is situated. Note: An Indian company issuing partly paid equity shares shall file a report in Form FC-GPR to the extent they become paid up. ♦ Annual return on Foreign Liabilities and Assets (Section-3) should be filed on an annual basis by the Indian company, directly with the Reserve Bank. This is an annual return to be submitted by 15thof July every year, pertaining to all investments by way of direct/portfolio investments/reinvested earnings/other capital in the Indian company made during the previous years (i.e. the information submitted by 15th July will pertain to all the investments made in the previous years up to March 31). The details of the investments to be reported would include all foreign investments made into the company which is outstanding as on the balance sheet date. The details of overseas investments in the company both under direct/portfolio investment may be separately indicated. 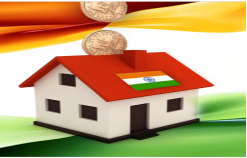 ♦ Issue of bonus/rights shares or stock options to persons resident outside India directly or on amalgamation/merger/demerger with an existing Indian company, as well as issue of shares on conversion of ECB/royalty/lump sum technical know-how fee/import of capital goods by units in SEZs, has to be reported in Form FC-GPR. ♦ The domestic custodian shall report the issue/transfer of sponsored/unsponsored depository receipts as per Depository Receipts Scheme 2014 in ‘Form DRR’ as given in Section 5 within 30 days of close of the issue. ♦ Reporting of transfer of shares between residents and non-residents and vice- versa is to be done in Form FC-TRS (Section 4). The Form FC-TRS should be submitted to the AD Category-I bank, within 60 days from the date of receipt of the amount of consideration. The onus of submission of the Form FC-TRS within the given timeframe would be on the transferor/transferee, resident in India. However, in cases where the NR investor, including an NRI, acquires shares on the stock exchanges under the FDI scheme, the investee company would have to file form FC-TRS with the AD Category-I bank. The AD Category-I bank, would forward the same to its link office. The link office would consolidate the Form FC-TRS and submit a monthly report to the Reserve Bank. It provides extension of shareholders beyond the territory. It is an effective source of finance. The company can receive funds at very low rate of interest than what are payable to domestic investors. Raising money from abroad is very expensive especially with the time taken to conclude the deal or issue shares in India. There are too numerous compliances to be done in order to invest funds in the company. There is limited interaction and there exist communication barrier with non-resident investors. The person resident outside India has to ensure that all the reporting requirements are complied with while issue of shares or transfer of shares. If the person violates the FDI Regulations, rules, circulars, notifications, or orders issued in exercise of the powers under FEMA he shall be liable to a penalty up to thrice the sum involved in such contraventions where such amount is quantifiable, or up to two lakh Rupees where the amount is not quantifiable, and where such contraventions is a continuing one, further penalty which may extend to five thousand Rupees for every day after the first day during which the contraventions continues. Just need information on Indian Citizen / Pvt Ltd Co investing in capital of Foreign Company.